It’s Monday morning. Alarm rings and after several hitting the snooze button several times you eventually drag yourself out of bed, jump in the shower, and head into the office ready take another week of meetings and numbers crunching. So far pretty standard stuff. Here’s the not-so-standard bit: your office is a 5-floor, 50,000 sq. ft. luxury space that comes with a cinema-caliber screening room, recording studio & broadcast facilities, top notch design furniture, and naturally, a catering service that not only provides you with artisanal food and local wine for your client meetings, but which drops off lunch at your desk if you’re just too much of a diva to go get your own. 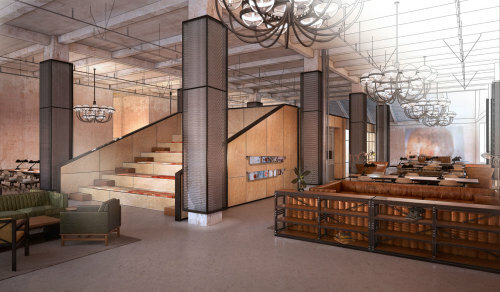 That, in a nutshell, is the idea behind NeueHouse, a new co-working space that was launched in New York this summer. 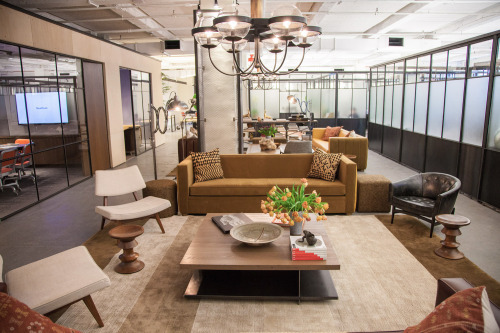 While NeueHouse is not the first co-work space to put an emphasis on aesthetics, they are, to the best of my knowledge, one of the few to throw hospitality and services into the mix. 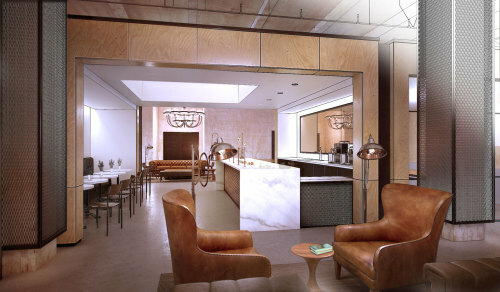 This means you can order fresh coffee from the neighborhood’s coffee shop, grab a fresh meal in the lunch room (The Canteen), or get the meal delivered directly to your desk (an option NeueHouse refers to as Room Service. Cute). Throughout my professional life, I’ve always been amazed by the fact that most offices are just not humane or hospitable. Ironic, given that one generally spends at least 8 hours a day, 5 days a week, in the office. We spend more time in the office than we do in our own homes. And we spend that time working on projects that involve a great deal of hours, people, organisation, multi-tasking, money, and creativity. Given all that’s at stake one would assume that workspaces would be conceived in such a manner as to provide comfort, motivation, inspiration, and all that jazz. And yet many companies still seem to place little value on the quality of the work environment. And in some cases, companies go to great lengths in ensuring that employees not take any actions of their own to create a comfortable workspace – I recall a workplace where I wasn’t allowed to have plants or pictures of loved ones on my desk. So it’s refreshing to see new workspace concepts popping up. Even though NeueHouse does have an air of exclusivity to it – its price tag won’t be within the reach of struggling entrepreneurs and if you don’t have the right profile you won’t be approved to use the space – kudos to them for breathing some new life into an old concept. Just as the traditional hotel industry is being challenged by high concept B&Bs and social sharing websites, so too cowork spaces are challenging what it means to have a “workspace”. Looking forward to more inspirational evolutions at the work place!